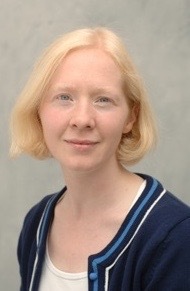 Kimberley Brownlee is an Associate Professor of Moral and Legal Philosophy at the University of Warwick. Previously, she was a Senior Lecturer at the University of Manchester. Her current work focuses on the ethics of sociability, social human rights, and freedom of association. This work includes a monograph (under contract with OUP) and a series of articles (including in Utilitas; Oxford Journal of Legal Studies; and Philosophical Quarterly). She also has written on conscience, conviction, and civil disobedience; punishment; ideals and virtue; and human rights. She is the author of Conscience and Conviction: The Case for Civil Disobedience (OUP 2012). Aristotle said that ‘…without friends, no one would choose to live, though he had all other goods…’ (Nicomachean Ethics, Book VIII). Aristotle was talking not just about close friendships as we understand them now, but also about all of our stable, non-antagonistic connections with people. A growing body of evidence in psychology and neuroscience now backs him up by showing that we are deeply social creatures for whom living in close proximity with other people is an ineluctable part of a decent human life (Baumeister et al 1995; Seligman 2011). Studies indicate that social isolation and loneliness are highly detrimental to our health since they trigger the same ‘fight of flight’ response that we experience when we feel pain, thirst, hunger, or fear. Chronic acute loneliness is linked to a range of health risks such as obesity, disrupted sleep, diminished immunity, depression, reduced capacity for independent living, alcoholism, suicide, and mortality in older people (Harris et al 2013; Ladd et al 2013; Cacioppo et al 2008; Decety et al 2011; Qualter et al 2013). Yet, surprisingly, our fundamental social needs are not much discussed in contemporary analytic philosophy. In debates about human rights, social needs tend to be subsumed under economic-welfare needs for shelter, water, food, health, and education. In debates about flourishing, social interests tend to be subsumed under broader notions of wellbeing. By contrast, in public debates, our social needs are gaining traction as we come to grips with the fact that our populations are aging and we have individualistic policy frameworks that distance us from each other. Many governments are acutely aware of the growing numbers of socially isolated elderly people, who have been described by one politician as the ‘forgotten million’ (Hunt 2013). My current project focuses on what our deeply social nature means for morality and politics. I am interested in understanding what value we should place on each person being socially included (or having genuine opportunities to be socially included). I am also interested in what social rights we have (Brownlee 2013). Additionally, I’m interested in the limits that our social rights put on our widely accepted freedom to associate or not with whom we please (Brownlee 2015a, 2015b). Finally, I’m interested in the distinctive virtues in being sociable. whether theories of justice are inadequate if they don’t recognise that equality of opportunity depends on certain social pre-conditions. One of my main claims to this point is that we have a fundamental human right against social deprivation (Brownlee 2013). By this, I mean we have a right not to be denied minimally adequate access to decent human contact. We have rights not to be severely neglected when we cannot access social contact without help; rights not to be coercively denied all social contact; and rights not to endure horrific social conditions. The person who is locked up in solitary confinement is abjectly dependent and radically socially deprived. The person who is chronically acutely lonely, unable to seek social contact without help, and left unassisted is also socially deprived. The person who is grossly mistreated by her primary associates and cannot leave her environment (which is the case in many ordinary prison settings) is socially deprived since she lacks minimally adequate access to decent human contact (Brownlee 2012). All of these cases involve breaches of social human rights. I’ve discovered by presenting this material to different audiences that it generates vastly different responses from people. Many people accept that our social needs are important and that philosophers should analyse the concepts and normative implications of sociability. But, some people are disconcerted by these themes, with one or two going so far as to call the project ‘creepy’. Some people worry that caring about social needs means we all have to be friends with everyone. The short answer is ‘no’, but the longer project aims to show that our social needs are as fundamentally important as our personal freedoms and, indeed, are pre-conditions for us to exercise personal freedom. Baumeister, R. et al (1995), ‘The Need to Belong’, Psychological Bulletin, 117, 497-529. Brownlee, K. (2015a), ‘Ethical Dilemmas of Sociability’, Utilitas, doi:10.1017/S0953820815000175. Brownlee, K. (2015b), ‘Freedom of Association: It’s Not What You Think’, Oxford Journal of Legal Studies 35: 2, 267-282. Brownlee, K. (2013), ‘A Human Right against Social Deprivation’, Philosophical Quarterly, 63: 251, 199-222. Brownlee, K., (2012), ‘Social Deprivation and Criminal Justice’ in Canadian Perspectives on the Philosophy of Criminal Law. François Tanguay-Renaud and James Stribopoulos (eds.) Oxford: Hart. Cacioppo, J. T. et al (2008), Loneliness. W. W. Norton & Company. Decety, J. et al (2011), Handbook of Social Neuroscience. Oxford. Gawande, A. (2009), ‘Hellhole’, New Yorker, 30 March 2009. Ladd, G.W. et al (2013), ‘Peer-related loneliness across early to late adolescence: Normative trends, intra-individual trajectories, and links with depressive symptoms’, Journal of Adolescence, 36, 1269–1282. Qualter, P. et al (2013), ‘Trajectories of Loneliness during Childhood and Adolescence: Predictors and health outcomes’, The Journal of Adolescence: Special Issue on Loneliness, 36, 1283-1293. Seligman, M. (2011) Flourish. Random House.